Alright, I’ll get it out of the way now: the food updates don’t get much more exciting today, with lunch courtesy of Nando’s (certainly scrummy, but hardly a niche venue). Dinner, however, was procured from Pitza Cano round the corner from Hyde Park Picture house. A standard takeaway joint in some ways, made noteworthy by selling pizza you can see being made from scratch before being cooked, and which is pleasantly lacking in grease or artificiality. Definitely worth a look if you finish your day in Leeds with a later showing at the Picture House and need something quick and tasty to take home for dinner. Anyway, enough about my unhealthy eating habits. Another foursome of films today began at midday in the town hall with The Battery. Touted as a new and alternative spin on the zombie genre, the film may end up as a victim of its own publicity: there’s not much here which hasn’t been seen before in terms of zombies. What makes The Battery worthwhile is the buddy dynamic between the two main characters, as well as the fact that writer-director-producer-star Jeremy Gardner made the film on a minuscule $12,000 US. Reminiscent of Shane Carruth’s Primer in tone as well as budget, the film never reaches the mind-blowing heights of Carruth’s sci-fi wonder but is certainly entertaining, well made and worth seeing. Back then to The Light for the first of a trio of films at Vue, starting with Ghost Graduation. Imagine The Sixth Sense played for laughs and mashed up with scenes from The Breakfast Club all in Spanish, and you’re not far off the feel and content of Ghost Graduation. A perpetually light-hearted comedy with a dark, deadpan streak right down the centre, this had me and many others laughing throughout. It’s also a film I can see someone in Hollywood clamoring to remake in English; it could work, but it could also be destroyed by that delicious black comedy element being toned down to young-teenage-Disney levels of blandness. High School Funeral, anyone? Thought not. 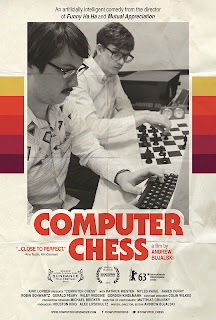 Computer Chess had my previous unimpressive experience of mumblecore to contend with, and in that respect I must consider it a success. I’ve not seen any of director Andrew Bujalski’s previous work, but based on the originality of Computer Chess I’d be inclined to give his other films a go. With stretches which baffled me to the point of not being entirely sure what it was I was actually watching, Bujalski’s film also holds the dubious honour of being the weirdest film I’ve seen in Leeds so far, which when up against the likes of The Future and Cannibal Holocaust is an achievement in itself. Surely one which will divide opinion like Moses and the Red Sea. Rounding off the day was Chris Eska’s The Retrieval, which Sam both watched and reviewed earlier this week. Redigesting Sam’s assessment of the film, I find myself largely in agreement: a good film certainly, but also one which never gets close enough to excellence, although you feel at least two of the central trio in the film - Tishuan Scott* and Ashton Sanders - deserve to have their stars rise. I was marginally less impressed with Keston John, although he may have suffered from getting the rough end of the deal in terms of the script. I occasionally felt his dialogue jarred against the Civil War setting, sounding too modern to feel genuine. Leeds’ buses worked to placate me today after yesterday’s transgression through lateness: the bus into town got me there in time for the start of The Battery, in spite of my running behind schedule this morning following Friday’s late night Cannibal Holocaust screening; and the bus back was conveniently waiting at the stop as I approached this evening. Long may this public transport excellence continue (i.e. don’t ruin it tomorrow, number 56). 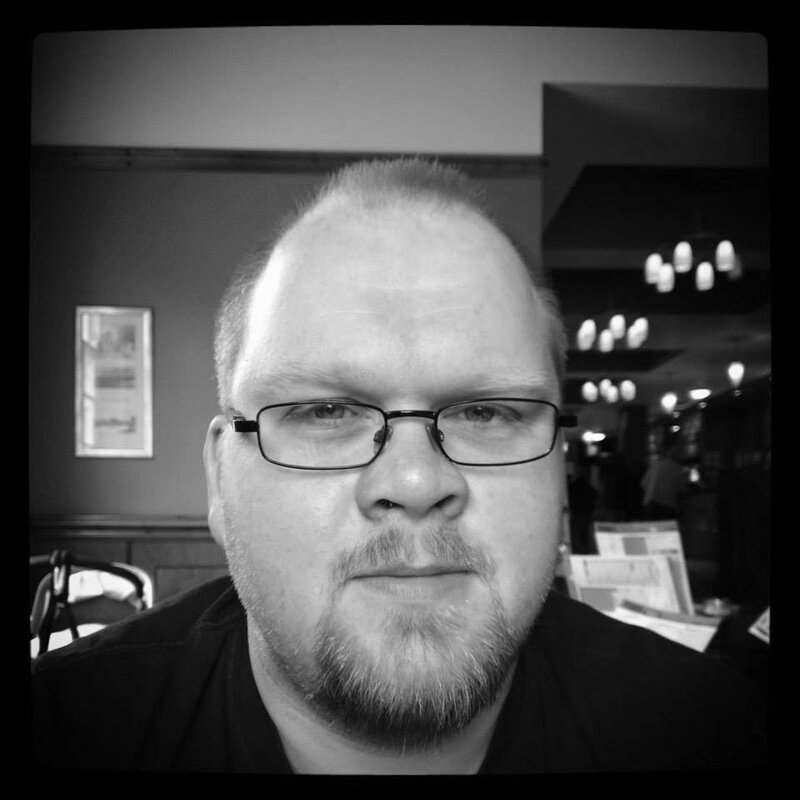 *IMDb has, as I write, informed me that Scott also appeared in Computer Chess; such incredible a difference is there between the two strong performances that I failed to recognise it was the same actor.